Good evening to everyone 🙂 ! I was thinking for many hours about showing this model to all of you. There are many reason for this inner contemplation. This is the one model with which I was fighting tooth and nail. 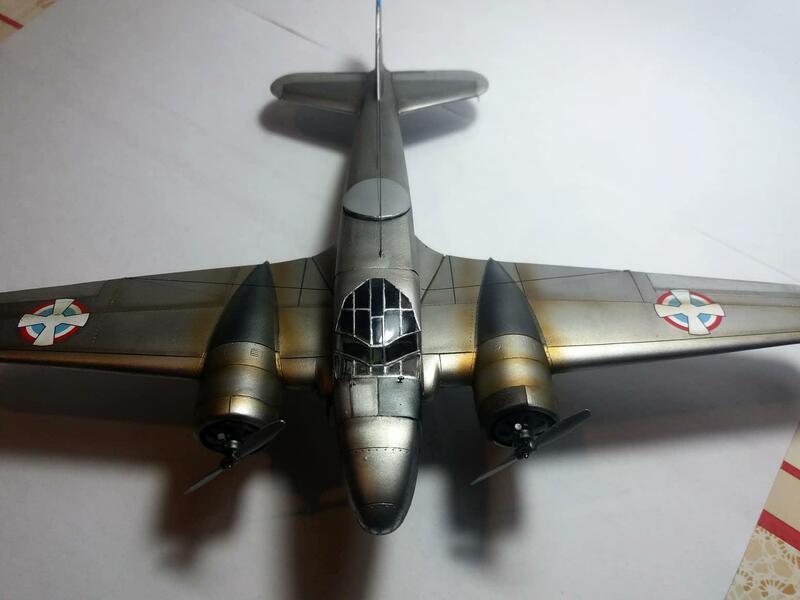 This is 1/72 scale from Azur model from france, but parts were made in Czech republic. Model came with many pe, resin and plastic parts. For the first look it was really good kit. But, it took first step of building for me to realize that this is one very, very, very bad model. Some parts were oversized, some parts very bigger than others, some were smaller… For example fuselage is made from two parts which are different in size, nose is clear part which is 7 milimeters smaller than fuselage, cabin clear part is bigger than fuselage. Engine simply can’t be placed inside the engine compartment because engine is roughly 5 milimeters bigger than compartment. Landing gear is made from many pe parts that will test nerves… Only one great thing with this model are decals which are really great. I was in big temptation to give up, but I menage to build it. There are some models in which you want to finish out of revenge or spite. Looks like you won the battle. I can see the Italian lines of the Caproni. Congratulations on being able to put more than lip stick on this pig. Two thumbs up. What a striking finish…VERY nice work, sir. Well, you won in the end. 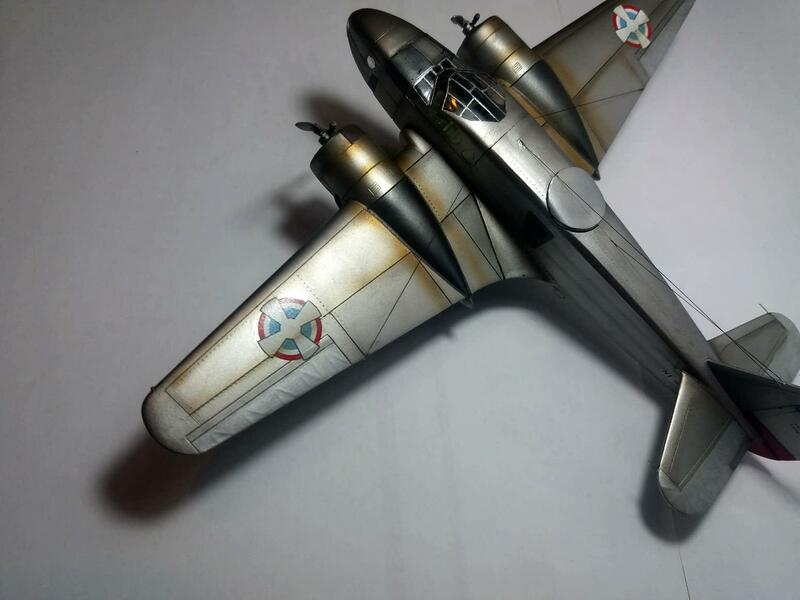 Azur is actually a sub-set of Special Hobby/MPM in the Czech Republic. You kept at it and didn’t give up and you ended up with a very nice job so well done you . Very unusual scheme, wasn’t even aware the Youguslavs had this plane back then. What is that circular plate on top? Yugoslavian goverment bought 24 machines in total, but they were unarmed and were used as a training planes. First 12 were with totaly with glass plates on the nose, but other 12 were used as a recon planes. I choose to present my model as a training machine. Training planes didn’t have machine gun on the top of the plane. I choose to place this circular hatch instead of bubble style rear gun nest because Serbian Capronis were unarmed. In general, there are just a few authenthic photos of Yugoslav Capronis from that era. After capitulation of Yugoslavia many planes were destroyed on the ground by Wehrmacht during capturing of airfields, but survived planes were transferred to Croatia and used on the Eastern front were not a single one survived. Great looking model, Djordje. I can’t wait to see what you can do with a really good Kit. Svaka čast Djordje, vrlo inspirativna maketa! Yugoslavian Airforce is one of the most idiosyncratic and eclectic in the world. Since the days of Kingdom of Yugoslavia Hurricanes were flying alongside Messerschmitts, Dorniers, Capronis, Savoias, Blenheims, then later Spitfires, Thunderbolts, Sturmoviks, then into jet age with Thunterjets, Sabres, MiGs.. etc. Amazing mix of world aviatin in small quantity. Awesome work. Knowing about the kits shortcomings makes the work more impressive. Amazing final result from such a bad kit Djordje (@Sheol) ! 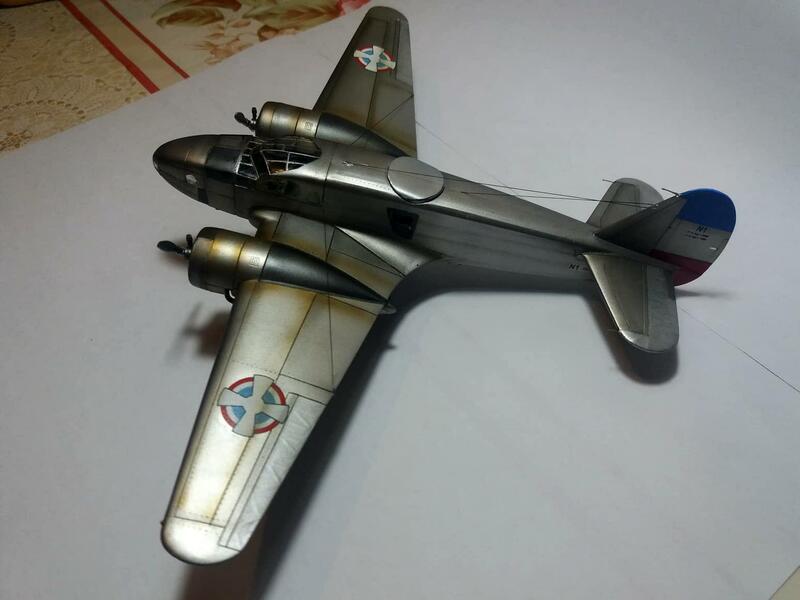 You ended up making a beautiful aircraft model! Congratulations! I love the painting scheme! Willing to share what you used for that fantastic final result? it would be my pleasure to share my technique. It was nightmare of assembling. After assembly i had to sand almost whole model. I rescribed and reriveted whole model. Then I use distilled water and airbrush to clean the model. I’m using Vallejo metal colors so I used their satin black primer for basework. 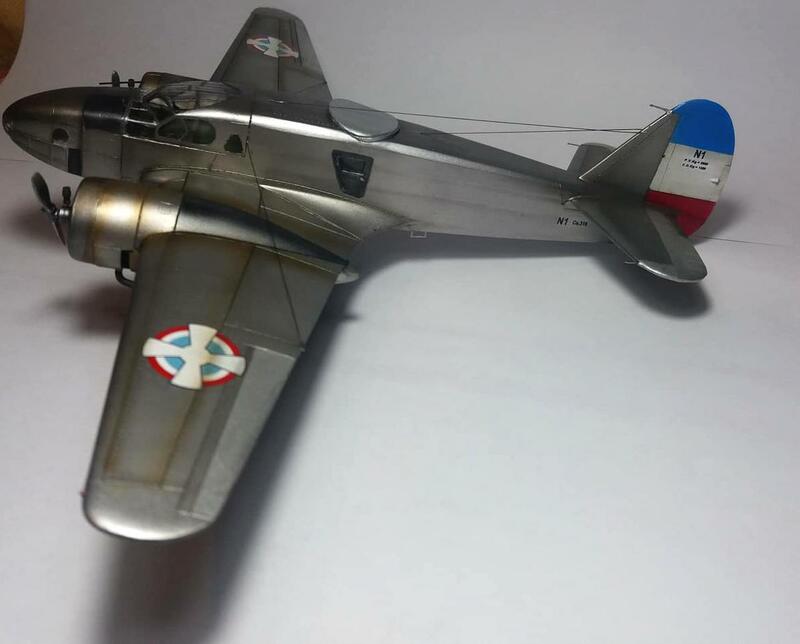 After few hours i painted whole model with Vallejo silver paint from Metal Colors range. I also used alluminium and gun metal colors for some variety. I painted exhaust and small details by hand and brush with Model Colors from vallejo. Effects of smoke from exhaust I painted with dilluted smoke color from Vallejo. After that I aftershaded panels with highly dilluted smoke color. I’m using excellent Lucky Varnish from Mig. I’m armour modeller, but I always use Glossy Lucky Varnish because it is excellent for planes. 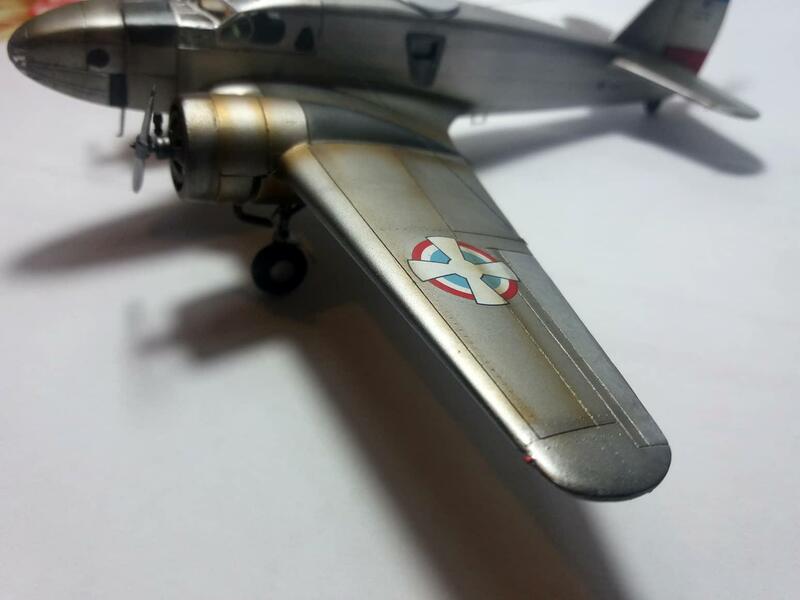 After varnish I have painted flag on the tail by airbrush and I used Vallejo Colors. I varnished the tail with Mig Lucky Matt Varnish. I’m using excellent range of True metal vax from AK Interactive. 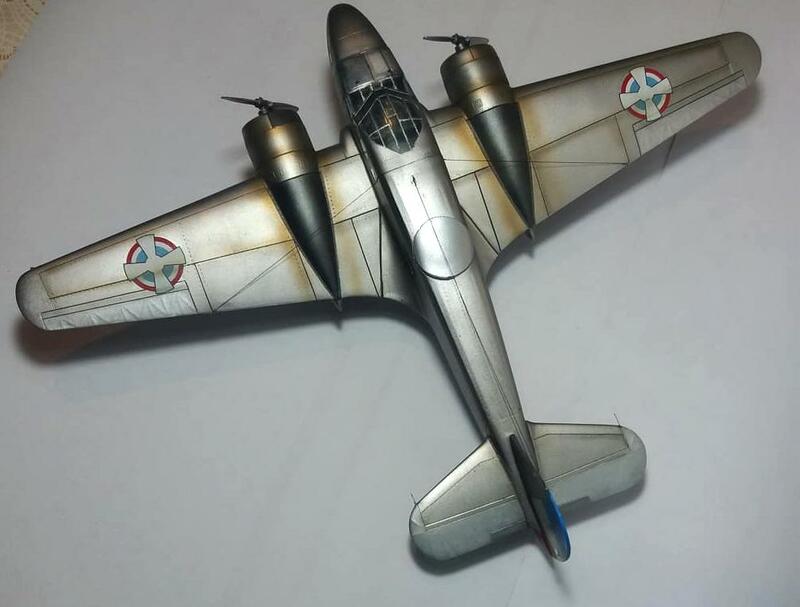 I painted by hand flaps and ailerons.After few minutes You can polish true metal colors and achieve great metal effect. Also I hand painted some panels in different metal colors to achieve variety and chromacity on model. As I said earlier, the final result is really great! It almost looks like a metal model! I believe you found the best available colors for the effects you wanted to achieve, and the pics are proof of that. Yes, I’m also recently re-discovering oil paints, and they are amazing indeed! 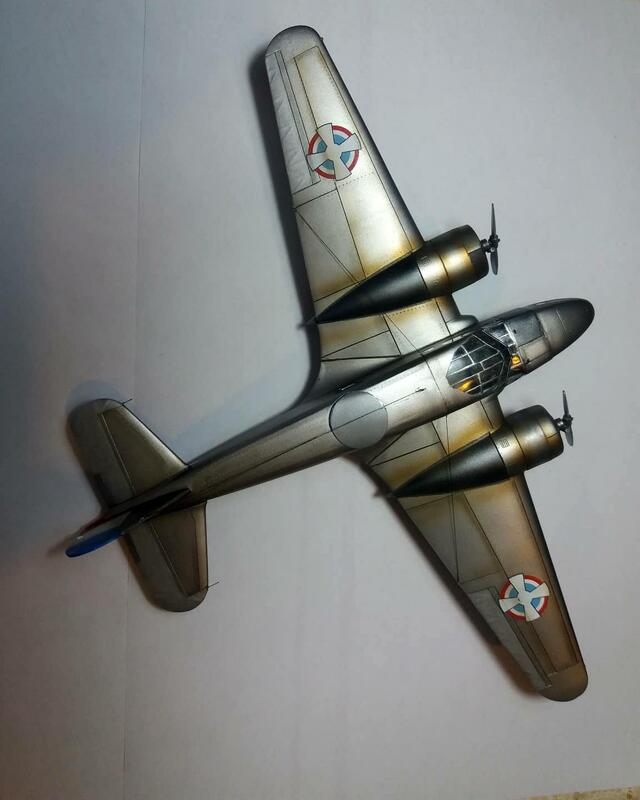 In my case, as I’ve not build an aircraft model for decades, I’m using them mostly on figures (an example is the WiP I’m now working on, here: https://imodeler.com/groups/figures/forum/topic/wip-verlinden-120mm-us-navy-pilot-pacific-wwii/ ), practicing for future projects (busts) . Haven’t used Abteilung 502 colors yet, so far I’m using Rive Gauche, Van Gogh and Lefranc & Bourgeois. Again many thanks for your detailed reply. A very nice outcome, looks great! Very, very well done, Djordje. I’ve been through projects (I guess we all have) when it seems ‘to bin’ is better than ‘to build’. I think she looks fantastic. Love it! Great work on the shading of the NMF. The Italian aircraft in that scheme looks marvelous. I’ve got a couple of those Azur kits in my stash, so I’ve been warned! Congratulations Djordje a superb result !